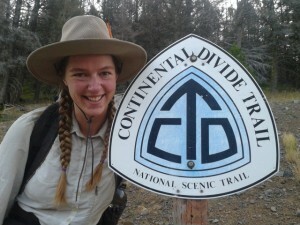 Planning to thru-hike and wondering what to do about your long hair? You could cut it all off. Maybe give yourself a mohawk and then shear it all off or maybe a spiky pixie cut is more your style. 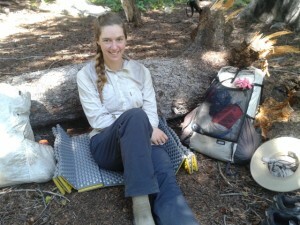 Cutting your hair is Backpackers first tip of 11 Key Tips for Female Thru-Hikers and others make the chop and cutting it is often seen as the easy way. If you think your hair is a hassle off trail in your daily life than you might want to cut it before starting out because it’s not going to become any less work while hiking. But you don’t have to cut it if you don’t want too. I kept mine long for all of my long distance hiking and I can offer up a few tips if you want to keep yours long. 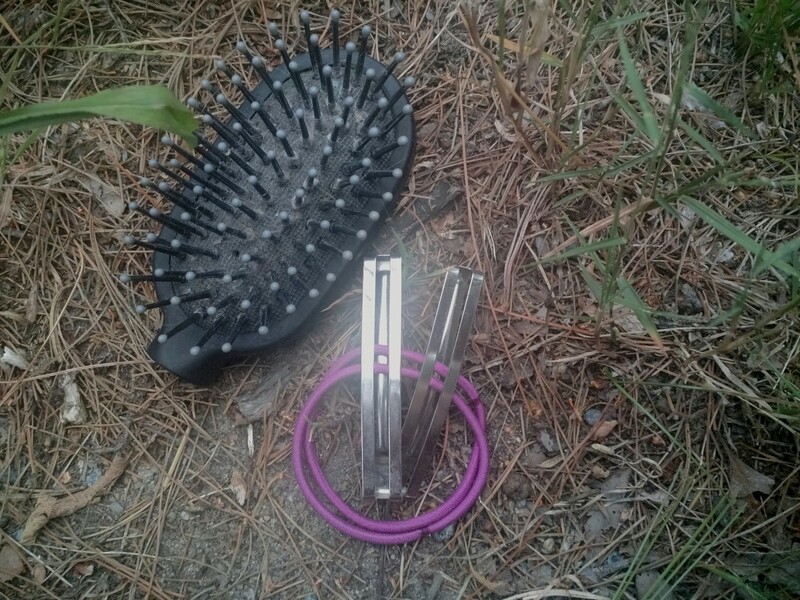 1.3 oz for a brush, two hair ties, and two clips and no spares. IF there is conditioner available when you shower only apply it from the nap of your neck to the ends. In 2007, when I was 20, I attempted a SOBO thru-hike of the Appalachian Trail. I made it 1500 miles before running out of time and money. I rehiked the Trail in 2009 and completed my thru-hike on Springer Mountain. In 2010 and 2011 I was a Ridgerunner for the PATC in Maryland--I kept my hiking legs strong while I saved up for my next hikes. I thru-hiked the Pacific Crest Trail in 2012 and the Continental Divide Trail in 2013. I returned to the AT in 2014 working as the Ridgerunner Coordinator for the AMC in Connecticut. This is my first summer off trail since 09 and adjusting to an office job is not easy. my hair is pretty thin and I find I can normally hike/sleep with just normal pigtail brainds for ~3 days before I take them out to brush, just a shout out to the other thin-hair hiking ladies! my mate’s mother makes $98 consistently on the tablet………After earning an average of 19952 Dollars monthly,I’m finally getting 98 Dollars an hour,just working 4-5 hours daily online….It’s time to take some action and you can join it too.It is simple,dedicated and easy way to get rich.Three weeks from now you will wishyou have started today – I promise!….HERE I STARTED-TAKE A LOOK AT…..ssm……..
Great article and tips! Thank you! 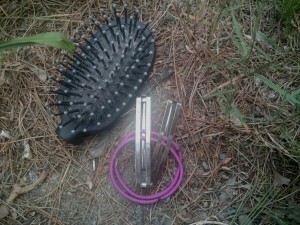 One growing issue in not combing your hair daily while on the trail is ticks. And that nasty little issue isn’t going to get better for at least a few decades, by that time… it won’t matter.